Thank you for the awesome review on The Knot! Thank you Amber for the wonderful review you gave us on The Knot! 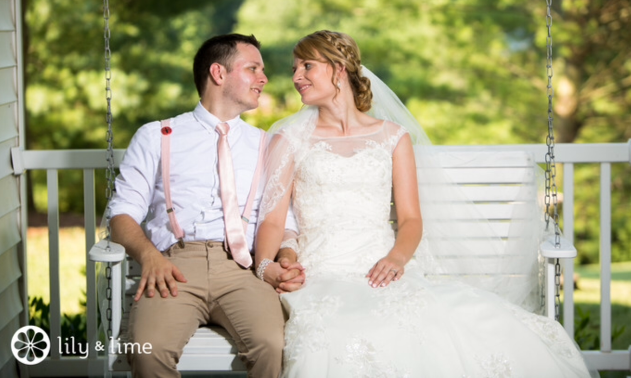 We couldn’t be more pleased than to have been a special part of your Wedding Day! Amber and Philip are an amazing couple!! 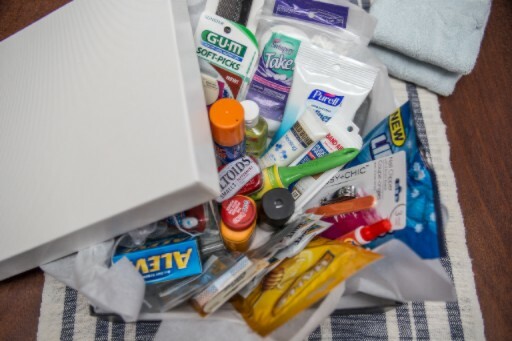 We couldn’t have been happier than to provide Amber with an exceptional Bridal Suite Emergency Kit GuestBox. We wish you a life full of love and happiness! Congratulations! From all of us at GuestBoxes.com, we are grateful to have earned Amber’s trust and business. We were so pleased to hear that Amber and her entire Bridal Party thoroughly enjoyed the Bridal Suite Emergency Kit GuestBox, chock-full of over 60 products! Our Bridal Suite Emergency Kit GuestBox contains the most products you will find on the market!
. . . while creating repeat business, word-of-mouth advertising and servicing Corporate Accounts! A large corporation is located around the corner from your hotel and you want to impress their business travelers. What better way to create a buzz among business travelers than to provide them with complementary amenities during their stay. Creating an atmosphere where guests feel welcomed and appreciated are the stays that are most talked about! And when travelers are happy, then return again and again. Our Hotel Modern GuestBox or Hotel Essentials GuestBox has just the right mix of welcoming hospitality amenities (custom product selection for him or her), and we can even customize your GuestBox with your hotel’s logo*. The best compliment is when people talk about your hotel, your venue, and your event as being one of the best they’ve ever been to! *Custom logos typically require advance notice of 6-8 weeks. Neat Tip: Hosting guests at your home or vacation rental this summer? Display the amenities neatly in the GuestBox and prop open with the lid! It’s a welcoming gesture to any guest, and they’ll feel appreciated as soon as they walk in your guestroom! All of our GuestBoxes and lids are solid pieces, made of chipboard and non-collapsible, so you can be assured you are receiving the highest quality box. 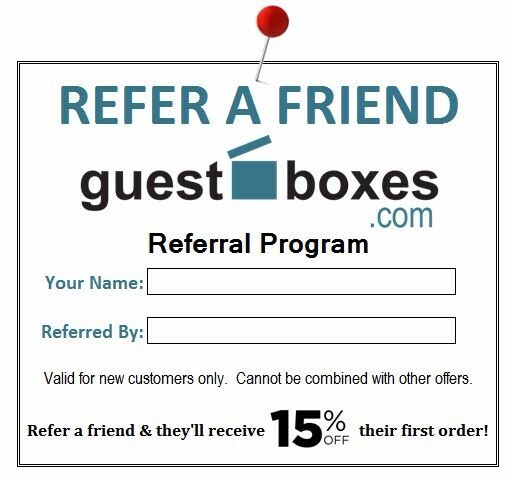 Refer a Friend and they’ll receive 15% off their first order! Our Refer a Friend Program is easy! Simply click on the Refer a Friend link, enter your name, your friend’s name and their email address. Take care of the details or take responsibility as I like to call it! Show your independence by taking matters into your own hands. This shows your level of maturity to handle matters as they come up, and they will, especially during wedding planning and creating a new homestead with your new husband. Independence is a sure sign of adulthood, and certainly mistakes will be made, but the rewards are your own. If this is your first time out on your own, living with a new spouse, then take advantage of the many online tools available with checklists and creative ideas. 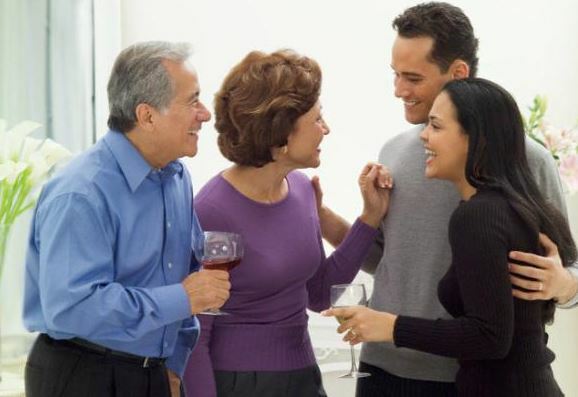 5 Guaranteed Ways to Impress Your Future In-Laws. Anywh ere guests are gathered, GuestBoxes.com has got you covered! Visit GuestBoxes.com to get a close-up of all our products. Additional products available in our Luxury Upgrade. Double the contents with one click for larger parties. Take a look at our Brochure for more information! For bulk orders of 5 or more GuestBoxes, you will receive a 15% discount. Whether you’re ordering for a corporate event, bridal/groomsmen suites, venue’s restrooms, or hotel guestsstaying at a nearby hotel for your event, then consider our bulk package. We can also work with you to customize contents! Copyright © 2017 GuestBoxes.com, All rights reserved.